(Photo: © Peter Kenny)Flags of the world at the UN in Geneva in January 2017. 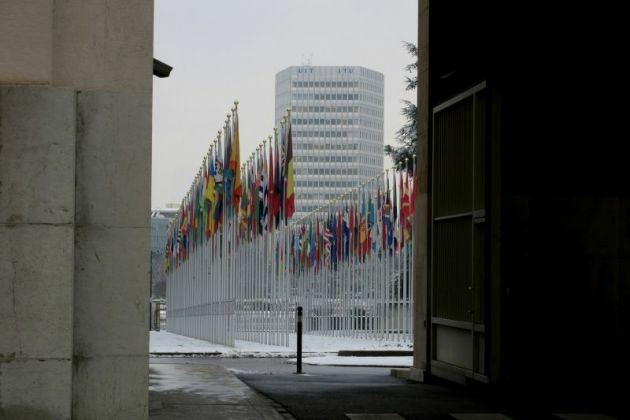 GENEVA – U.N. human rights experts have called on Iran to ensure a fair and transparent final hearing for three Iranian Christians due to appear before the Revolutionary Court in Tehran this weekend. "We are deeply concerned by the long jail sentences imposed at a previous hearing on Pastor Victor Bet Tamraz, Amin Afshar Naderi and Hadi Asgari for allegedly "conducting evangelism" and "illegal house church activities." They say such charges according to the authorities, amount to acting against national security, but what they are doing is completely contrary to Iran's international obligations under the Universal Declaration of Human Rights and the International Covenant on Civil and Political Rights. "We are additionally concerned about the lack of healthcare made available to them while in detention and, in particular, about the current health condition of Mr. Asgari who remains in prison," they noted in a Feb. 2 statement. "We strongly call on the Government to ensure that the final review hearing on Sunday is fair and transparent, in accordance with Iran's obligations under international human rights law," the experts said. The three Christians were given provisional jail sentences of 10 years at a previous hearing in July. Naderi received an additional five years for blasphemy. "We are aware of several other reported cases in which members of the Christian minority have received heavy sentences after being charged with 'threatening national security', either for converting people or for attending house churches," they said. "This shows a disturbing pattern of individuals being targeted because of their religion or beliefs, in this case a religious minority in the country. "Members of the Christian minority in Iran, particularly those who have converted to the faith, are facing severe discrimination and religious persecution." The UN experts stressed that it was "of paramount importance" for the Iranian government to abide by its obligations under international human rights law. "The authorities must ensure fair trials for all, including the religious minorities in the country," they said. "We also urge the Government to immediately and unconditionally release all those who have been arrested and detained for exercising their right to freedom of religion or belief." The UN experts notified the Iran government about their concerns.